[GUARDIAN, OLIVE PRESS, LTTW, SPAIN] For 12 years, visitors have only been able to see the replica of Spain’s early civilization cave paintings in a museum a few hundred feet away from the actual site. Since Thursday, five elderly Spaniards were chosen by ballot to make the inaugural trip to the caves. However, the visit only lasted only just over half an hour; allowing the group about eight minutes to admire the paintings. Why such strict provisions apply? The site has been closed several times, starting in 1977 after scientists warned that body heat and CO2 levels from the 3,000 daily visitors were deteriorating the paintings. When the cave was re-opened again in 1982, to a limited amount of visitors, people were queuing up to three years to get a glimpse of the prehistoric masterpieces. In 1985, UNESCO declared the site as World Heritage site. The cave was again closed to the public in 2002 to protect the paintings from microbiological damage which appeared because body heat, light and moisture for the appearance of green mold on some of the paintings. This year, from now until August to be exact, overall 192 visitors are expected to be allowed in under the program. During the visit, however, researchers will measure their impact on the cave’s temperature, humidity, microbiological contamination and CO2 levels. They will have to comply with a strict dress code and wear masks and shoes before entering the site. The results will be used to determine whether or not the cave can be reopened to the public, a controversial decision that has pitted the local tourist economy against government scientists. There are many reasons in assuring the sustainability of the site. First and foremost, such heritage possessed rich early human civilization values* we should be aware of— values in which relevant to many generations to come, as both irreplaceable sources of knowledge on science and technology, as well as aesthetic and artistic inspiration. Secondly, every cultural heritage also has its economic values* which can be useful for countless tourism programs. Accordingly, in the name of sustainability, a good management should be taken into account. 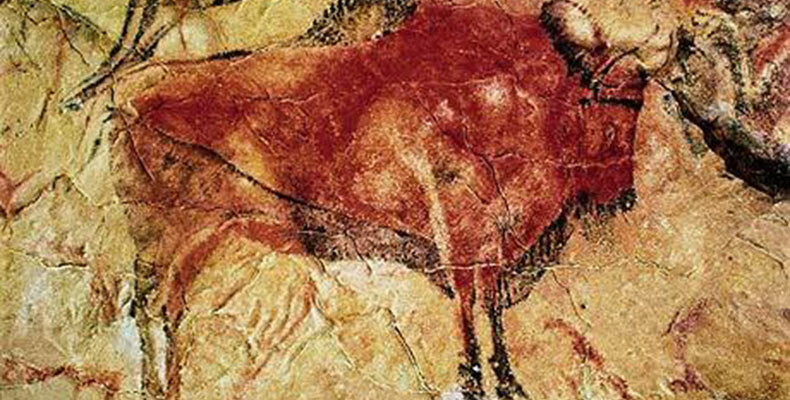 Which brings me back to the Altamira; too bad, I’m not there to see it. I personally can only compare to where I live, which heritage management is preferably perceived and practiced in completely different direction. One example is the famous Borobudur Temple in Magelang, Central Java, Indonesia. Still, Adikara said he did not think such management would work properly. To the contrary, it will trigger another, greater problem. “This sets a new level of exploitation, while creates more conflict of needs between the authorities,” he said. So, how do we reply to these different heritage managements? Is one better than the others? Besides, whose responsibility is it anyway?